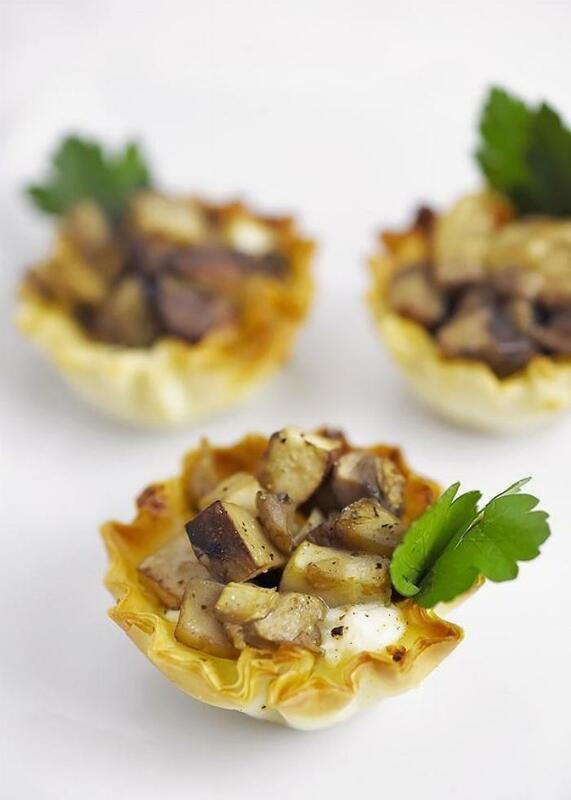 You only need a few ingredients to create this healthy, but elegant appetizer! 1Heat olive oil and butter in a pan. When butter is melted, add diced mushrooms. Season with salt and pepper. Allow to cook down, releasing liquid, until browned. 2Meanwhile put divide goat cheese into shells. 3Drain liquid from mushrooms and divide among the shells. 4Bake at 350 for 8 minutes. 5Allow to cool slightly and drizzle with honey. Garnish with parsley, if desired.